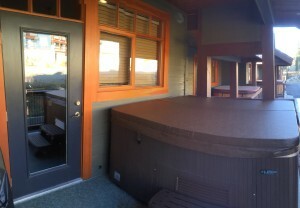 At the end of a full ski day a brand new Beachcomber hot tub awaits. 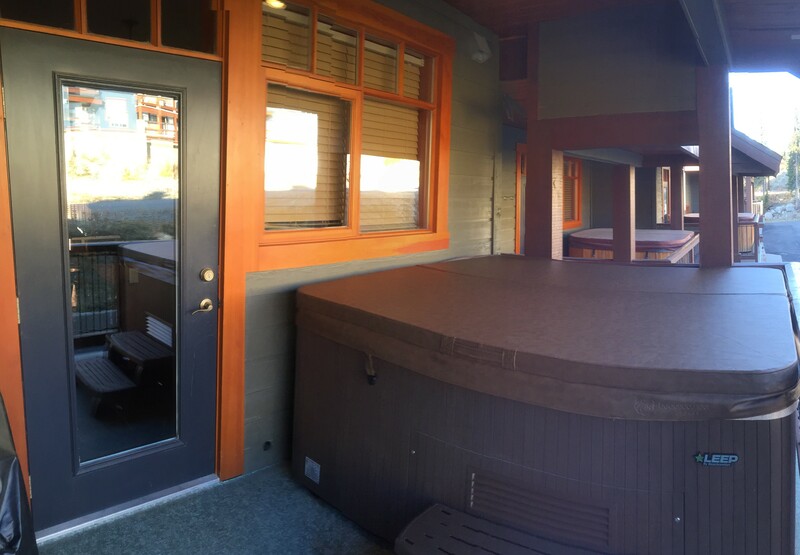 The hot tub is serviced by Big White Spas on the day of your arrival and on a regular basis throughout the week to ensure that everything is pristine and ready for your use. Plastic glasses can be found in kitchen cupboards so that you can enjoy your favorite beverage while relaxing in the hot tub.